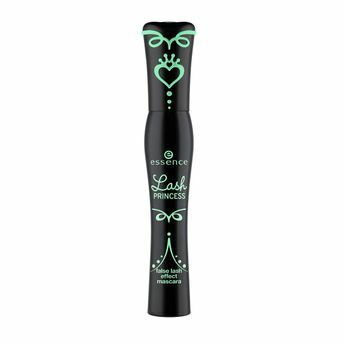 There?s a fabulous addition to the family of lash princess mascaras in black with the new Essence Lash Princess False Lash Effect Mascara. The special, iconic shape of the fiber brush provides lashes with length and dramatic volume as well as a false-lash effect. Also, the packaging of the drama queen is decorated with a gorgeous evening dress ? this time in black-mint. A False lash mascara for those perfect eye lashes. Special, iconic shape of the fiber brush provides lashes with length and dramatic volume as well as a false-lash effect. Intense black shade, Easy to use. Additional Information: One of the leading cosmetics brand from Europe, Essence inspires you to express who you are with style, confidence and fun. You can try various fabulous looks with a huge range of breakthrough Essence beauty products which follow season's hottest colors and formulas and suit all skin types. All Essence products are made of highest quality standards, are super affordable and are not animal-tested. Explore the entire range of Mascara available on Nykaa. Shop more Essence products here.You can browse through the complete world of Essence Mascara .